Green burial, also known as natural burial, is a process by which the body of a deceased person is interred in the soil in a manner that does not inhibit decomposition and allows the body to recycle naturally. It is seen as an ecologically-friendly alternative to contemporary Western burial methods. It’s simple and natural, and ensures the burial site remains as natural as possible in all respects. 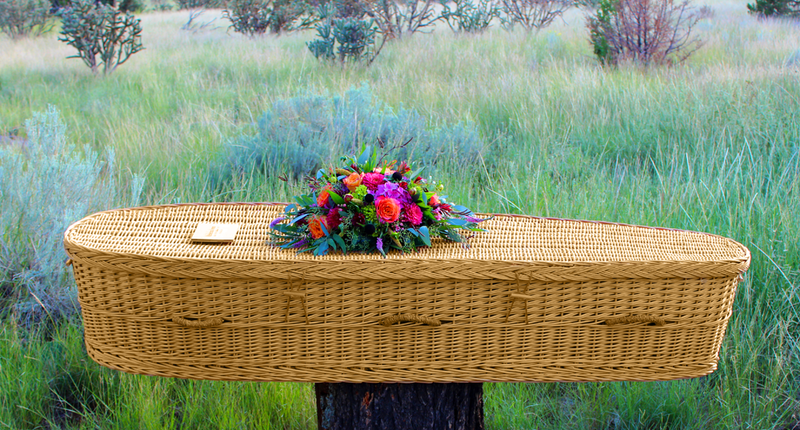 Interment of the body is done in a biodegradable wood or wicker casket. Rivera Funeral Homes offers Eco-Friendly Caskets that are hand-crafted by skilled weavers. They are suitable for viewings and services followed by burial or cremation. Each casket features convenient handles for carrying, along with a natural cotton interior lining and pillow. The Willow and Seagrass Caskets are fully lined with a 100% natural un-bleached cotton interior. The Bamboo Caskets include a simple matching shroud.